The worst thing that happened to us at Championship Enduro Series Blackhawk Farms II weekend was we forget to pack the folding chairs and a table. August 11-12 had to lay on the carpet or sit on the trailer steps if we wanted to be outdoors. The carpet was made comfortable some pillows but trailer steps were inconvenient when someone wanted to get in trailer. Despite these horrendous troubles, we had beautiful weather, great company, and some great racing. We have been working on the road kart for two years. Jason got off to a bad start a Gateway in 2017, crashing it on Sunday while pushing too hard on bad tires. 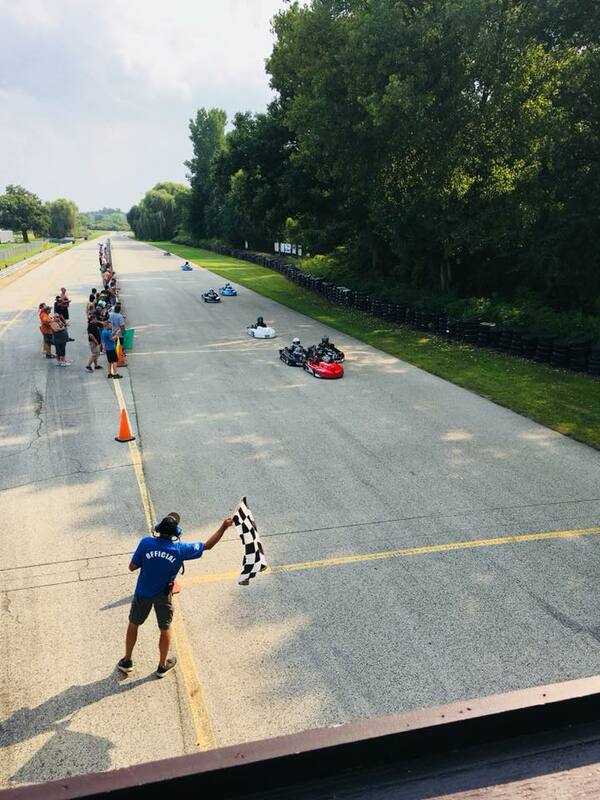 Since then he has been learning to drive the kart and I have been learning to tune it, each time out he got a little faster and a little closer to up front. Coming into the weekend we had a couple of goals, my goal was for the kart finish all four races, Jason’s goal was to finish in the top 5 in Animal 370. The season started at Gateway and he looked fast with room to grow. The last time at Blackhawk Jason was working pretty solid in the top 10 and at Grattan he was held back by a failing motor and chassis issues. This weekend we put new wider wheels to help loosen the kart up a bit and keep it on all 4 wheels and slide a little more. This should help him have faster smoother, and more controlled cornering and generally more relaxed kart..
To add to the challenges, but in a good way, there number of drivers was up to 23 on Saturday and Jason being a junior was still required to start in the back. Though the fast karts always start in the back. Both Saturday races he made great progress and was able to get to the front of the second pack and then start to pull away. The front pack was still a couple of seconds away but he finished 7th and 8th. Overnight, I found that the seat had again shifted due to the strut failing. This led to a bit of trackside engineering to build a new strut put together a magic combination of a rear and front struts to get exactly what was needed. I also was able to talk to some folks about tuning and Jason’s driving. After much consideration and dialog kart was pretty good and Jason was also pretty good they just need some more quality time together to build that special relationship. Sundays practice went off without any adjustments just putting some more laps in. 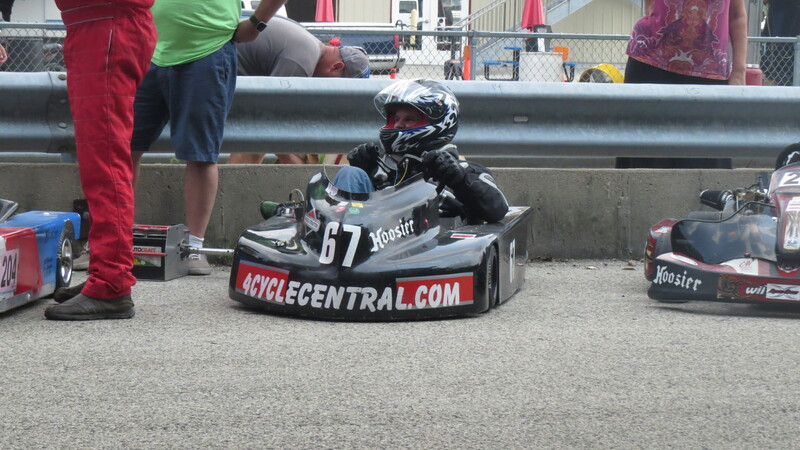 Jason did have an opportunity to drive another kart during one session. He sorta liked it but it was hard to steer, he still put in some very fast laps. Thanks Michelle. The first race on Sunday he was just a little off pace, the gearing was not right and he was not able to make the required speed down the straight. He finished 11th. out of the hunt but showing promise. At the drop of the green flag for the second Sunday race, he was off and quickly picked up a couple of spots. Each lap few more karts, he moved up through the second pack by picking drafting partners and pushing past slower karts. Once he was though he pulled up to the front pack and again started picking them off with new and faster partners. As the final lap rolled he had moved up to fifth place and staged a final push for the finish line. The karts roared toward the finish line he pick one last draft and pushed them to third and himself to 4th by a few 100th of second. Achievement Unlocked!! 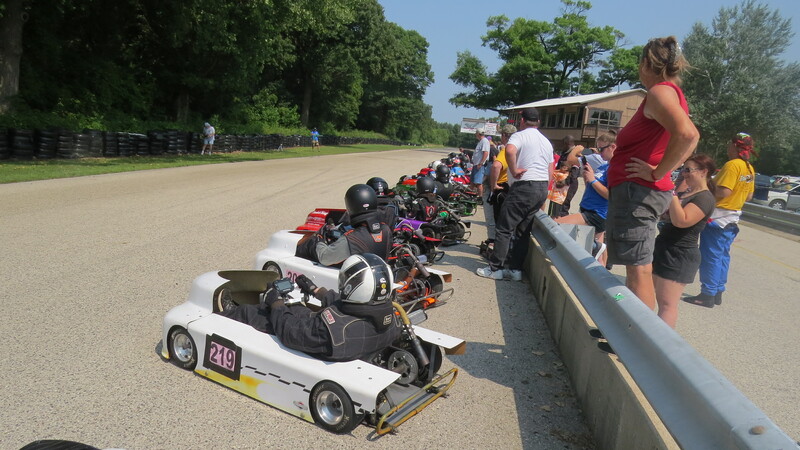 The next race will be at Badger Kart Club with the Cup Karts of North America central series. We are very excited to be back at badger after a two year absence are looking forward to seeing some old friends. 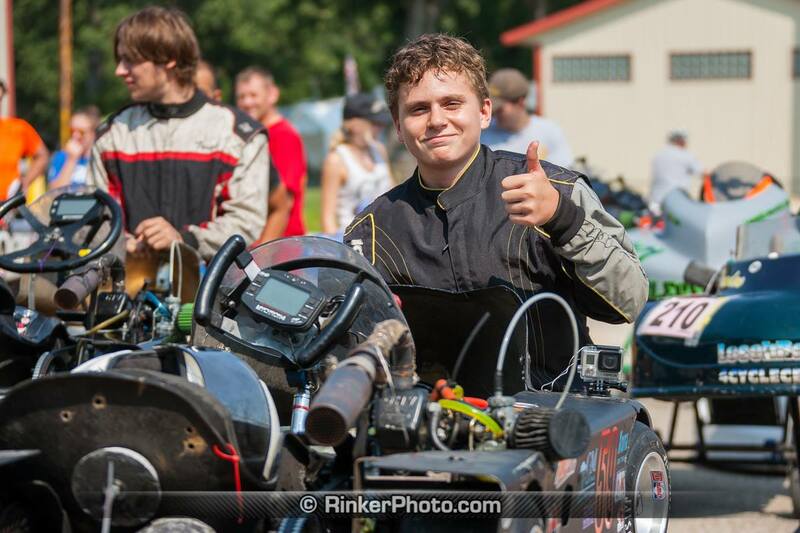 Thanks Jack Reall for the call out and finally getting me into a kart. Hope to do it again someday. Regan at 4 Cycle Central has been working hard to build a great group of races this season and we hope we can carry it over to next year building bigger and better.